Axial load combined with varus (inward angulating) or valgus (outward angulating) force on weight bearing knee. Lateral plateau fractures more common than medial (involved in 85-90% cases) (Schwartz, 2008). 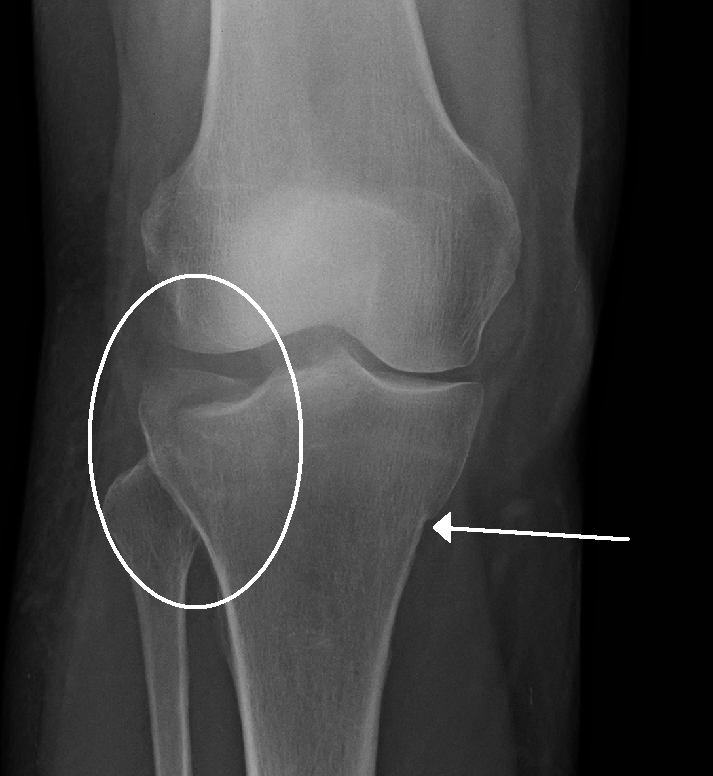 The medial plateau is stronger as it bears the majority of the load transferred across the knee. 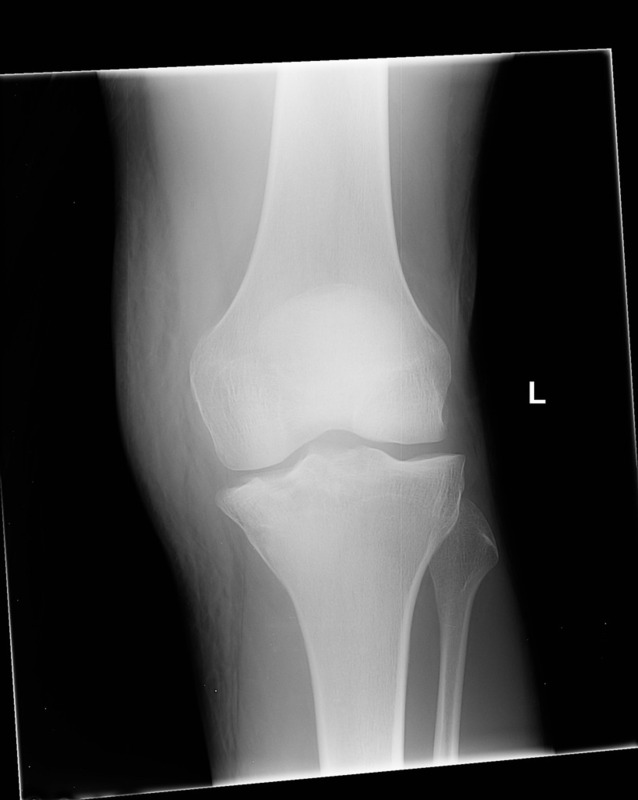 Knee effusions and lipohemarthrosis (fat-fluid level), although non-specific, may indicate underlying bony injury. 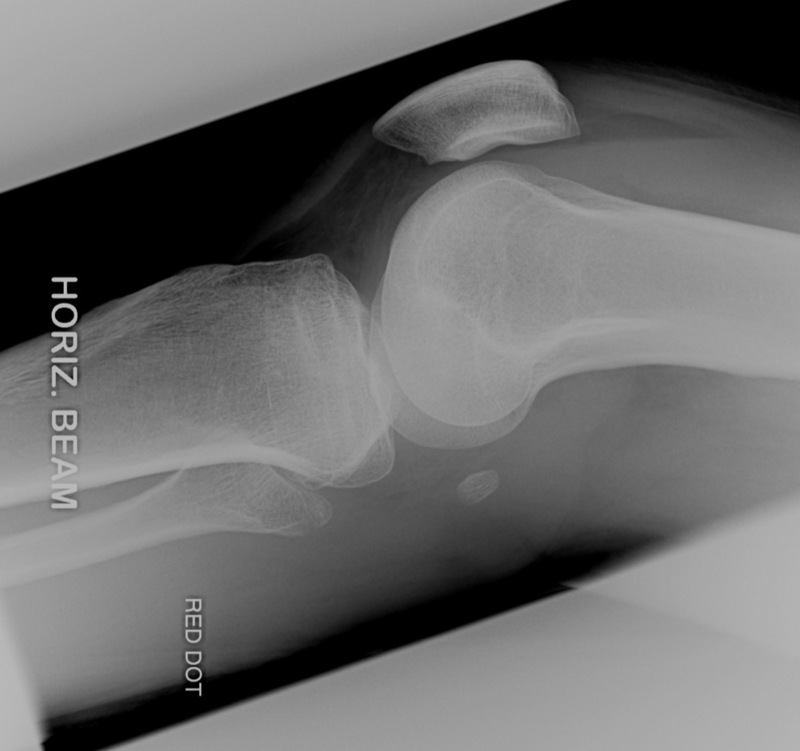 The latter is seen best on cross-table lateral view when the beam is tangential to the fat-blood interface. May be necessary for fracture diagnosis in the ED, especially if clinical suspicion persists despite negative x-rays. Frequently required for further characterization of fracture pattern and evaluation of involvement of articular surface, as well as preoperative planning. 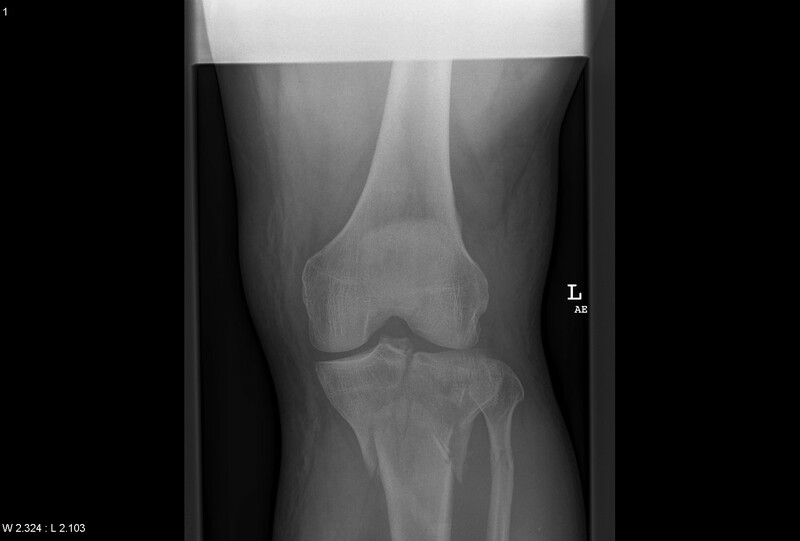 Tibial plateau fractures can have subtle radiographic findings. Maintain a high clinical suspicion for obtaining additional imaging or CT for patients unable to bear weight in the ED following injury. Discharge patients in knee immobilizer and strict non-weight bearing. This prevents further injury to articular cartilage and many patients will have concomitant ligamentous and meniscal injuries. Baxter A. Emergency Imaging: A Practical Guide. Stuttgart, Germany: Thieme; 2016: 458-459. Cole P et al. 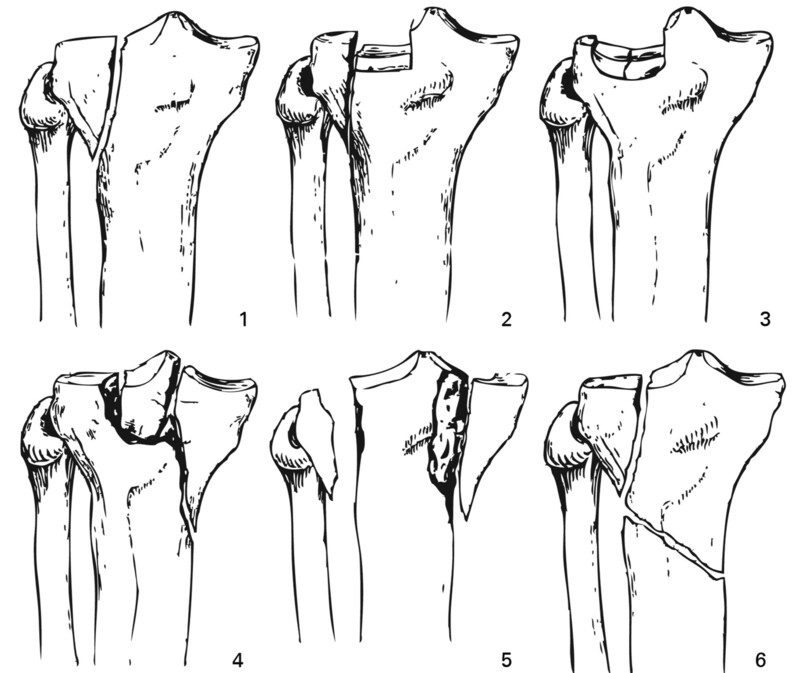 Tibial plateau fractures. In: Browner B, Levine A, Jupiter J, Trafton P, Krettek C, eds. Skeletal Trauma: Basic Science Management and Reconstruction. Philadelphia: Saunders Elsevier, 2009: 2201-2287. Egol KA et al. Handbook of Fractures, 5th ed. Philadelphia: Wolters Kluwer, 2015: 445-453. Schwartz DT. Emergency Radiology: Case Studies. New York: McGraw-Hill, 2008: 307-316.